Renfree drops back, completes a pass to senior Austin Kelly across the middle. 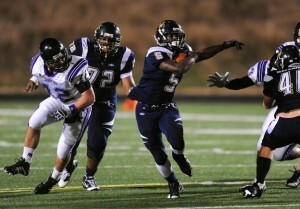 Kelly tries to elude a tackle but is brought down by Quan Sturdivant at the Duke 41 yard line. The clock hits zero. The Tar Heels celebrate and reclaim the Victory Bell. Duke’s 2010 season is over. 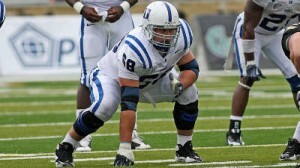 Second-year starter Sean Renfree and the Blue Devil offense have the potential to be one of the ACC’s top units in 2011. In order for that potential to be realized, the Blue Devils must accomplish two things: take care of the football and establish a consistent, effective running game. After struggling with turnovers early in 2010, the Blue Devils showed dramatic improvement in their final five games. Turnovers have continued to be a point of emphasis all offseason. Junior Desmond Scott and sophomore Juwan Thompson will pace the ground game and have had an excellent training camp running behind a big, experienced offensive line. Dave Harding has stepped in flawlessly for the injured Brian Moore at center, and he will have to play at a high level in his first college game action snapping the football. With several question marks on defense, the margin for error for the Duke offense is slim. Defensively, Duke needs to see big games from their returning stars in senior Matt Daniels, sophomore Kelby Brown, and senior Charlie Hatcher. These three players will be supported by a group of talented but mostly inexperienced Blue Devil defenders, a typical recipe for inconsistency. Similar to the offense, there are two primary goals for the Duke defense in 2011: limit explosive offensive plays and improve their play at the line of scrimmage. Duke has a deep group of high-level athletes in their secondary, and the new 4-2-5 defensive scheme will rely on their ability to make plays all over the field in an effort to slow opposing offenses. In his second year as a starter, Ross Cockrell will have to develop into a shutdown cornerback for the Blue Devils. Seven redshirt-freshmen will enter the rotation on the defensive line for Duke in 2011, and the maturation of these young athletes will be key to the defense’s success. Expect to see flashes of ability from players like Jordan DeWalt-Ondigo, Jamal Wallace, and Dezmond Johnson. If the Blue Devils are able to successfully execute their new defensive gameplan, this group’s results should be greater than the sum of its parts. 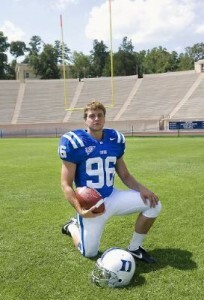 If Duke is going to make a bowl game in 2011, their special teams unit will have to be special. The Blue Devils have the talent in the kicking game to dominate special teams at times this season. Will Snyderwine has established himself as one of the top kickers in the country. Alex King is a proven veteran with experience and versatility. Freshman Jamison Crowder is a playmaker at kick and punt return. Improved depth across the roster should lead to better kick and punt return units. The pieces are in place for a solid special teams effort; the players simply have to execute. To put it lightly, Duke was plagued by turnovers in 2010. Duke’s 28 turnovers, however, are eclipsed by Richmond’s 32 turnovers a season ago. Needless to say, the team that takes care of the football stands to have the best chance of winning this matchup. Late in the season, Sean Renfree appeared to turn a corner, throwing just three interceptions in the final five games. Limiting turnovers has been a point of emphasis for the Duke offense all spring and summer, while the Duke defense is hoping to create more turnovers than they did a year ago. If the Blue Devils can build a first half lead, expect the Duke secondary to make some plays when the Spiders are forced to pass. Duke should win the turnover battle. Richmond plays a physical game of football, and in the last two meetings between these schools, dominated the line of scrimmage. The Duke defense has struggled to pressure opposing quarterbacks. With youth along the defensive line and a pass-happy offense, Duke will rarely win the sack battle. The key will be to limit the loss of yards on offense and to make some timely tackles for loss against the Spiders. The Spiders did graduate their top 3 tacklers from 2010, but still have the players to apply some pressure. Richmond will win the sack battle. Richmond converted just 34% of their 3rd downs in 2010, while the Blue Devils were able to convert 40% of 3rd down opportunities. With a veteran offense returning, Duke should again have success on 3rd downs, utilizing their deep receiving corps to pick up 1st down yardage. The Duke defense has struggled on 3rd down in recent years, but with an improved secondary and a better scheme, they should do a better job of limiting big conversions. Duke will win the 3rd down battle. 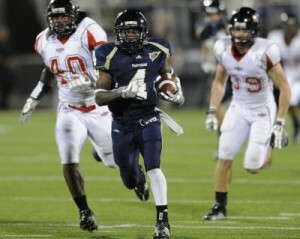 The game features a trio of All-Conference wide receivers, all capable of opening the game up with an explosive play. Tre Gray will be a challenge for the Duke secondary, and his matchup with Duke’s Ross Cockrell will be one to watch. The “Killer V’s” will be up to their usual tricks, but Richmond will have to pick their poison as senior Cooper Helfet and sophomore Brandon Braxton also have big-play ability. On the ground, the Spiders will utilize a committee approach, while Duke will feature a heavy dose of Desmond Scott and Juwan Thompson, two players who have dominated training camp with big plays. Duke has too many weapons on offense; they will win the explosive play battle. Richmond will look to establish their running game early, and if they are able to control the line of scrimmage, it could be another long season opener for the Blue Devils. Duke will be able to counter with a veteran offensive line and three talented runners of their own in Desmond Scott, Juwan Thompson, and Brandon Connette. With a deep offensive line, Duke should be able to run the ball into the end zone when needed. The Duke defense will have their hands full with trying to keep Richmond’s Kendall Gaskins out of the end zone, but Duke has a deeper stable of proven runners. Duke will punch a few in on the ground. Both teams feature outstanding All-Conference kickers. Duke’s Will Snyderwine has connected on 86.4% of his career field goal opportunities. Richmond’s Will Kamin has hit 90.9% of his career field goal opportunities. This matchup is a push. Since the arrival of David Cutcliffe in Durham, the Blue Devils have been one of the most disciplined teams in the ACC. 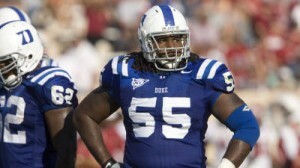 In 2010, Duke committed just 55 penalties for an average of 40.6 yards per game. The Spiders were even better, committing just 50 penalties for an average of 35.5 yards per game. That trend should continue under new Head Coach Wayne Lineburg. This matchup is a push. Prior to the arrival of Head Coach David Cutcliffe, Duke fans remember all too well the days of missed field goals (and extra points!! ), botched snaps, muffed punts, and missed tackles. Duke’s special teams is now light years ahead of where it was just a few seasons ago, and should continue to improve and become a strength for the 2011 Blue Devils. 2010 Review: Lou Groza semifinalist Will Snyderwine handled the kicking duties for the second straight season in 2010. After taking over for the injured Maggio in 2009, the former walk-on has now hit 38 of 44 (86.4%) field goal attempts in the past two seasons for the Blue Devils, with a career long of 52 yards at Georgia Tech in 2010. Snyderwine converted 32 extra points in 2010, extending his perfect career streak to 56/56. The combined field goal and extra point totals placed second all-time at Duke, with 95 points, and earned him All-American honors by the American Football Coaches Association, making him the first Blue Devil All-American kicker in school history. His value to the Duke team extended beyond field goals and extra points, as he increased his touchback numbers from 2/47 in 2009 to 11/60 in 2010. Charged to work on on-side kicks last offseason by Coach Cutcliffe, Snyderwine delivered, as the Blue Devils were able to recover 4 of 6 on-side kicks in 2010. Overall, the Duke kickoff unit ranked 3rd in the ACC and 18th in the country, allowing just 19.71 yards per return, with opponents average start at the 24 yard line. 2011 Outlook: Snyderwine returns to anchor the kicking game again in 2011, and has already garnered several preseason accolades, including the Lou Groza Award Watch List and several preseason All-American honors. The former walk-on has developed into a potent weapon for the Duke offense and special teams units. Snyderwine appears ready to cap off a historic career at Duke with a big senior season. With increased depth throughout the roster, the kick coverage should continue to improve and become a strength for the Blue Devils. Big plays occasionally haunted the Duke coverage unit, and they did give up one touchdown return on the season against Alabama. 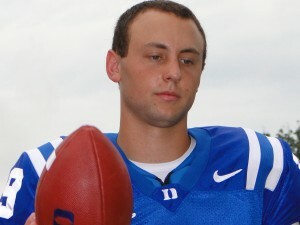 The only concern with the Duke kicking game in 2011 might be depth at kicker, where an injury to Snyderwine could significantly weaken the Blue Devils. 2010 Review: Jones lost the starting job to King after a botched punt against Wake Forest in 2010. 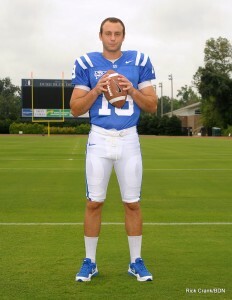 King was mostly dependable for the Duke punting game, averaging 41.1 yards per punt, finishing 7th in the ACC. Of 55 punts on the year, King was able to pin opponents within the 20 yards line 21 times, with 6 touchbacks. The Blue Devils’ punters achieved a net of 33.6 yards per punt, which ranked 9th in the conference and 106th in the nation. The punt coverage, however, faired worse, allowing 14.4 yards per return, which ranked last in the conference and 117th in the nation. The Blue Devils were only able to force 7 fair catches on the season and allowed a punt return touchdown against Maryland. 2011 Outlook: Punting appeared to be the biggest weakness among Duke’s special teams unit in 2010, and stands to be an area of significant improvement in 2011. The hope is that with better depth, speed, and athleticism, the punt coverage unit will do a better job of limiting opponent returns. Punting should improve as well, as King now has nearly a full year of starting under his belt, and will be pushed by highly-touted freshman Will Monday. The competition between King and Monday will definitely be one to watch this month. 2010 Review: Scott, Snead, and Thompson were the leading return men for the Blue Devils in 2010, and Duke ended the season 4th in the ACC with an average of 20.9 yards per return. As true freshmen, Snead and Thompson ranked 7th and 8th individually with averages of 22.0 and 21.7 yards, respectively. 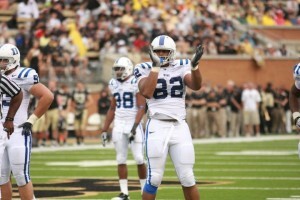 The Duke return game provided the offense with an average starting position of the 27 yard line. 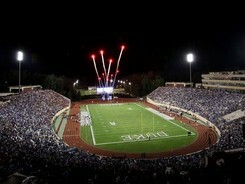 2011 Outlook: Duke has yet to return a kickoff for a touchdown under Coach Cutcliffe. Will 2011 be the year? With the three primary return men all back, Duke seems poised to continue to use kick returns as a strength. Scott, Snead, and Thompson will continue to share carries in the Duke backfield, and will also split the kick return duties. With their combination of size, vision, and speed, it may be difficult for any newcomers to break into the rotation, but the Duke staff has shown a desire to rotate multiple return men in an effort to keep players fresh throughout the season. The kick return job is another key competition to watch during training camp. 2010 Review: Butler handled the vast majority of punt return duties in 2010, finishing with a respectable 8.6 yards per return, which ranked 5th in the ACC and 31st in the nation. With a season long of 33 yards, Butler was able to consistently advance the ball, but rarely broke out for big returns. Williams showed some explosiveness as a punt returner in 2009, but due to injuries and a position change, only returned 2 punts in 2010. 2011 Outlook: With both Butler and Williams back, along with a group of speedy youngsters headed by Jamison Crowder, Duke appears ready to develop the punt return game into a significant weapon. There is likely to be significant competition for the starting job, and with some improved blocking, 2011 might be the year that fans see an explosive punt return game from the Blue Devils. Coach Cutcliffe has historically emphasized the kicking game in past training camps, and the punt return unit is likely to see significant reps this August. Bookmark Blue Devil Nation for in-depth coverage of Duke Football all season long, from training camp through the 2011-2012 bowl season. 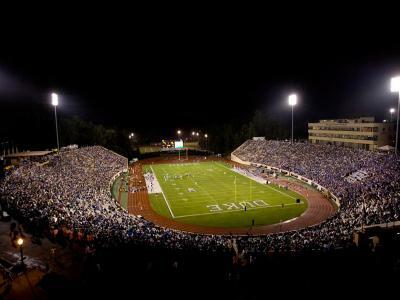 After their week 6 off week, Coach Cutcliffe and the Blue Devils will host yet another top 10 opponent in Wallace Wade Stadium on October 15th, as the Florida State Seminoles travel to Durham. 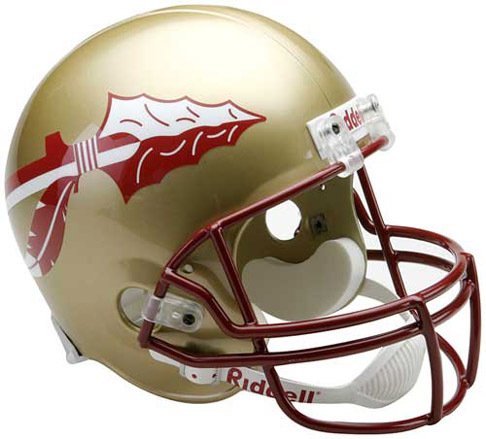 Despite the loss of starting QB Christian Ponder, the Seminoles are the consensus favorite to win the Atlantic Coast Conference in 2011. In Jimbo Fisher's second season in charge in Tallahassee, FSU returns 18 starters from last year's Chick-fil-a Bowl Championship team that finished with a 10-4 overall record. Expectations are high for this fall, and with a win against top-ranked Oklahoma in September, the Seminoles could vault themselves into the national championship picture. The Seminoles have always been a tough opponent for the Blue Devils, as Duke is 0-16 all-time against Florida State. This year will be no exception; Duke will certainly have their hands full against an experienced and confident FSU team on October 15th. For Duke’s week 7 match up against FSU, we are fortunate to have the insight of onebarrelrum from Tomahawk Nation. BDN: In his first year as Head Coach in Tallahassee, Jimbo Fisher led the Seminoles to their first 9-win season since 2003. What were the biggest changes seen on the field and within the program? We'll start with program changes because that is what dictates and influences what happens on the field. Bobby Bowden's approach to the FSU program was that of CEO of a company much like Mack Brown at Texas. He delegated many responsibilities to other coaches. Fisher, however, is much more hands on with every facet of the program. Sure, his assistant coaches have their own responsibilities, but Fisher doesn't watch practice from a tower. He is on the practice field, managing and coaching, utilizing direct interaction with coaches and players. Beyond Fisher's approach to coaching, there have been vast improvements in numerous areas including weight training, player tutoring, psychology, and nutrition. An army of support staff was brought on board to help boost all of these areas in an effort to improve the quality of play on the field. Under the waning years of Bowden, these areas had not kept up, or come close to matching other elite programs. Fisher has done an admirable job reorganizing and retooling the program so that it can compete with modern day elite teams. On the field, the largest changes in x's and o's is most noticeable in the transition from Micky Andrew's man heavy scheme to Stoops' balanced defense that utilizes much more zone. FSU fans would like to all but forget the 2009 defense. It was the worst defense fielded by a Bowden coached team. 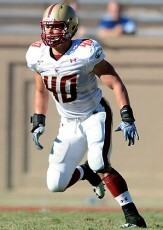 In 2009 FSU was starting a 225 pound walk-on at defensive end. This year, the first and second string DE position will feature 4 players all over 265 pounds. It was also revealed that the defense was not provided playbooks in 2009. To say the least, Stoops had a lot of issues to address when he stepped on campus. BDN: Florida State is the consensus top pick in the ACC in 2011, and will almost certainly receive a top-10 preseason ranking. With a win against Oklahoma on September 17th, many expect the Seminoles to vault towards the top of the BCS rankings. What does this team need to do to beat the Sooners, and is FSU ready to return to college football’s elite and compete for a National Championship? Last year, many 'Nole fans did not expect to win in Norman against the Sooners. They also didn't expect FSU to get absolutely destroyed. It was a learning year for the Florida State defense, and the first exam was against OU. They obviously failed miserably as OU scored on its first five possessions. The FSU offense was in shock and could not come close to offering enough points to help as they dealt with their own struggles. This year, the defense has got to get at least a few stops. The offense has to manage the clock and keep OU's offense off the field and out of rhythm. Last year, the OU no huddle decimated FSU's young, learning defense and that can't happen again if they want a chance to win. The plan should be to shorten the game with long drives and converting on 3rd down (easier said than done, I know). If FSU is successful at limiting OU's offensive snaps, it will have a shot at winning in the 4th. As for the second part, time will tell. If FSU can keep the game at least close with OU, it will have shown major strides since 2009. While competing for a title is extremely difficult for any team, I think FSU has the structure, players, and coaching staff to once again start competing with and beating the nation's elite. BDN: While most of the ACC will be breaking in a new quarterback in 2011, Florida State and Duke have to feel pretty good about their QB situation. E.J. 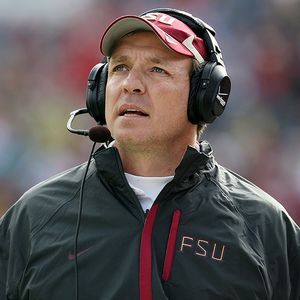 Manuel filled in admirably for Christian Ponder over the past two seasons, leading the Seminoles to bowl victories over West Virginia and South Carolina. What do you expect to see from Manuel in his first year as a starter? With three explosive backs and top receiver Bert Reed returning, what questions remain for the FSU offense? You are right about EJ, fans have been very pleased with his effort filling in when Ponder was injured. EJ is an extremely talented QB with smarts to boot. Though this year FSU fans hope he is even better. He had a mechanics problem in his throwing motion which eventually lead to needing shoulder surgery. The surgery and improved mechanics have helped him with velocity and hopefully accuracy. He is excellent in the option game and keeping his eyes downfield when flushed from the pocket. I look for Fisher to utilize him in the running game quite a bit on designed runs this year to make defenses account for all 11 offensive players. EJ has bulked up to over 240 pounds, hopefully preparing his body for the long season. Outside of his talents EJ is a vocal leader on the team. He also has great chemistry with a lot of the receivers having thrown to some of them for years in practice. Hopefully all those reps will pay off this season. As of right now, going into fall camp, the biggest question mark for the offense is the offensive line. There are returning players with experience but it is a question of how healthy they will be for the season. Both tackles, Zebrie Sanders and Andrew Datko had to go under the knife and miss spring ball. Guard David Spurlock had multiple concussions last year keeping him out of a number of games and also missed spring ball. Fisher says that they are all healed up and should be fine. If they are really 100 percent then there is a lot less to worry about for the FSU offense, but I'd wait until fall practice gets going before I breathe a sigh of relief. At the beginning of last season receivers Willie Haulstead and Rodney Smith struggled. They had route issues, timing issues, and just needed quite a bit of time to get used to the college game. FSU needs them to continue their maturation and be ready to become major contributors. They will be counted on more than ever with the departure of WR Taiwan Easterling (left for pro baseball). BDN: Mark Stoops did a nice job with a young FSU defense in 2010, though the group was inconsistent at times. With 8 starters returning in 2011, what improvements need to be made defensively for the Seminoles to compete for an ACC and National Championship? For the defense, the most improvement should come from being in the new system for another year. While 2010 was a year to learn the basics, this year should show the grasp the players have of the different schemes and the understanding of their roles on any given play. Another issue last year was depth along the front. With so many young players, fatigue became an issue by the NC State game. FSU did not force a single punt in the second half of that game. Russell Wilson, time and again, was able to use his legs and arm to convert on 3rd and long. This year, there should be some serious depth along the front, along with another year of strength training, maturity, and familiarity with a new scheme. Same goes for the linebackers and secondary. With the way FSU is recruiting on the defensive side of the ball and Stoops' scheme, I have no doubt that FSU will field an elite defense in the not so distant future. A defense that can be leaned on to win games and perhaps a championship. There is some hope among fans that this defense won't have to wait another year to be special. Of course, we won't have to wait too long to find out. BDN: Florida State is 16-0 all-time against the Blue Devils, and the series hasn’t been competitive, with the Seminoles winning each game by at least three scores. Having last met in 2007, the two programs will have to get reacquainted in 2011. Duke has made strides under Head Coach David Cutcliffe, but will still be a significant underdog at home on October 15th. What have you heard about Coach Cutcliffe’s Blue Devils and what will they need to do to compete with the Seminoles? From what I understand Duke has made very good strides under Coach Cutcliffe. After this season it wouldn't be surprising to see a program offer Cutcliffe a pay increase. Duke was a scrappy team last year and proved to be much better than an annual speed bump in a number of ACC games. I look for that same level of play or even better from Duke this year. I can say it's a good thing FSU's defense has been tuned up since the 2007 match up. If these two teams faced off in 2009 I could have easily seen a Virgnia/Duke 2010 type shootout. I know Duke likes to throw, but if they want to stay in it with the 'Noles this year, they need to shorten the game. They will have to eat up some clock with runs. Duke needs to seize some momentum early and hope for the best. If FSU puts up 2 or 3 quick TD's all hope may be lost as the revamped defense will be looking for pass. It will be the 3rd road game in a row for FSU, perhaps impacting how much time FSU spends on studying Duke's offense and defense. Best thing to do would be break tendencies and do the unexpected. For heavens sake, don't kick field goals on 4th and 3 inside the 25 or even 30 yard line. Duke will have to maximize every chance it has at TDs, as FG's just won’t get it done. BDN: Thanks so much for your help! We look forward to hosting the Seminoles on October 15th! 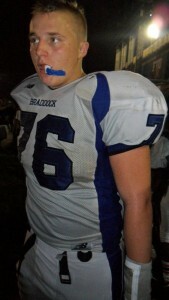 Are you ready for some more football, Blue Devil Nation? Alright, I'll concede that Mark Watson's Peach Jam coverage has been out of this world this week, and things are really heating up for Duke basketball. So once you’ve had a chance to read and re-read all of that great coverage, get ready for a little Duke football. 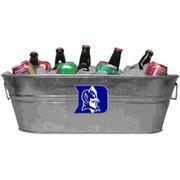 Duke football season is fast approaching, and there's nothing you can do to stop it. So get on board! Season tickets and new 3-game ticket packs are on sale now at GoDuke.com, or through the Duke Ticket Office at (919) 681-BLUE. To preview the 2011 Duke football season, BDN is teaming up with other college football insiders to give an in-depth look at Duke's opponents. We kicked off our series earlier this month with a look at Richmond and Stanford, and continue this week with Duke's ACC opener at Boston College. Duke fell to the Eagles in 2010 in Durham, 21-15. If it wasn't for a late goal line stand by LB Luke Kuechly and the BC defense, the Blue Devils may have pulled off the upset behind one of their better defensive efforts of the year. What should we expect from the 2011 matchup? We brought in BC insider BCHysteria of BC Interruption to help us preview the 2011 Eagles. BDN: When looking at Boston College, we have to start with their defense. The defense loses senior leader Mark Herzlich this year and returns only 5 starters. We know how good All-American LB Luke Kuechly is, but who else is expected to step up for the Eagles, and what question marks remain heading into August? There are a few names that you will need to know going into the 2011 season. First of all Kevin Pierre Louis is coming off a fantastic season where he logged in 93 tackles. Mix him in with Kuechly and BC should have a very dynamic linebacking corps this season. Another player that you should look out for is corner back Donnie Fletcher, who led the Eagles in interceptions last year. I expect big things out of him this season. One of the biggest questions for the Eagles has to be their defensive line, which is filled with unknowns. Max Holloway led the team last year in sacks, is returning, along with Kaleb Ramsey, but the rest remains one giant question mark. Who will step up on the line? 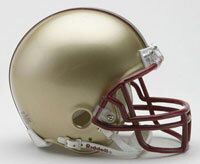 BDN: After an inconsistent 2010, there were mixed reports regarding the BC offense coming out of spring practice. With nine starters returning, including the dynamic rushing duo of Montel Harris and Andrew Williams along with a more experienced QB in Chase Rettig, what changes do you expect to see in the offense under new coordinator Kevin Rogers this fall? Reports have come out that Rogers isn't going to be tweaking the offense that much from the style they played last year. Meaning a pro style passing game, with a few wrinkles here and there, but he's not going to suddenly turn the style into an Option style. During the spring game he did show some different looks like 5 WR sets which we did not see last year. I think what frustrated BC fans last year was a stale, predictable game plan and with Gary Tranquill gone, we hope to see that change this year. Hopefully that means much more success through the air and more points on the board. BDN: After making two straight ACC championship games in 2007 and 2008, the Eagles seemed to take a small step back the past two years. With a tough road schedule in 2011, what are the expectations for the 2011 season? Which games are the most crucial on the Eagles' schedule? That is the million dollar question haunting BC fans right now. We have watched the Eagles continue to step backwards (mostly on offense), but with Rogers will this change? BC has a very tough schedule this year starting with two solid out of conference opponents in Northwestern and UCF. Those two games could easily dictate the tempo of the season. Another important stretch for BC will be their October slate which includes Clemson, VT, Maryland and Wake Forest. If BC can take at least two of those, they will be in good shape to at least a bowl. So basically if BC starts off slow, they could easily finish 5-7, but if they turn it around like I hope they will 8-4 might be a possibility. BDN: Due to the new ACC scheduling, Duke and Boston College have been relative strangers in recent years. Duke last traveled to Chestnut Hill in 2006, and the Eagles have won the last 4 games in the series, though Duke did give the Eagles a scare in Durham last fall. 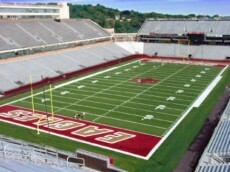 What are your predictions for this year's matchup in Chestnut Hill? What does BC need to do against the Blue Devils to prevent an upset? Last year was one of the scariest/frustrating games for BC fans. BC basically handed that game to Duke. If BC wants to win this year they are going to need to contain David Cutcliffe, last year Sean Renfree had his way against the Eagles secondary in the 2nd half. BC also has to not be stupid with the ball, Montel Harris' fumbled twice in the red zone. He is a much better running back than he showed in that game, and if he can hold on to the ball I expect BC to control the tempo of the game. I dont need to tell you, but Duke's defense was putried last year, if BC's offense can turn around their equally putrid offense, they should win. BDN: With a stingy defense and a new-look offense, Boston College will be a tough early season matchup for the Blue Devils. How do you expect teams to try and attack the Eagles' defense this season? What will be the best way to slow Montel Harris and the Eagles' offense? BC's defensive achilles heel has always been through the air. If you can get the ball in the air, and avoid the pressure you can beat the BC corners. This may change this year with a new look secondary, led by Fletcher, but keep your eye on highly recruited DB Albert Jean Louis. He is a hard hitter, who may keep opposing QB's from looking his way. Montel Harris can be stopped, and many teams found that out last year. Just frustrate Rettig, force him into a few bad decisions, and Spaz will hand the ball off incessantly to Harris. Harris wears down rather easily, and when D's know what’s coming, they can load the box up and stuff him. Happened most of last season.